blank screen. radio static and north winds. fade in. 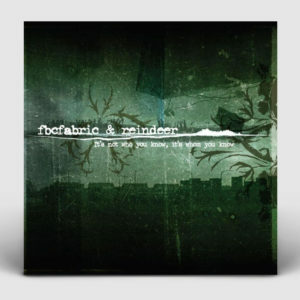 fbcfabric & reindeer write music which falls somewhere between reality and a darkly distorted version of it. field recordings, radio interference and haunting melodies meet sombre string arrangements, rumbling bass and uncompromising vocals. rain against concrete. the sound of cable television infomercials mixed with morbid news reports. reverberant electric guitars, organs in reverse. dialogue from abandoned film. a soundtrack to twenty first century western reality. the sound of trains crawling along their lines. billboard instructions mangled with the remains of arguments against the media. crashing moments of distorted mania juxtaposed with ambient passages of uneasy near silence. fbcfabric & reindeer have been travelling the same rain swept road from opposing directions since 1999. an anxiety crippled composer and a depression racked writer combine to vent their sorrow in the disguise of modern music. inseparable through brotherhood and mutual artistic understanding, fbcfabric & reindeer pulp the envelopes of genres they touch upon to produce music of classical proportions. a sound that can only be described as honest but cinematic, bleak but poetic, humble but epic, their work is truly the sound of two people trying desperately to extract meaning from the western world in its most turbulent state. unafraid to take risks, their songs stand as testament to the healing powers of music amidst sorrow and chaos. it’s not who you know it’s whom you know. joined by the incredible musical talents of jenny blackbird, jamie romain and michael rea, lmntl819 has created a lavish, rich and truly cinematic soundscape of ten songs on which reindeer has delved deep into the very abyss of his work to construct some of his most visually striking, driven and indeed heartfelt prose. 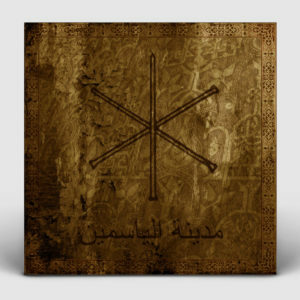 joined on numerous tracks by a host of some the greatest emcees currently operating within the international underground scene, three quarters of the papervehicle crew; the beastmaster, mildew and edison, babel fishh and evak1, filkoe176, swordplay, jamesphoney and wormhole, the album is awash with searing displays of both lyrical and vocal execution. cascading verses give way to near-silent passages of quiet uneasy contemplation as the sound of the open fire crackles before another wave of the storm comes crashing in upon thunderous breaks and awkward clattering of rusted machinery. views from the psychdelik deathcab is surely a formidable proposition on paper which does indeed manage to translate into the vocabulary of the multi-faceted indie-rap scene as it stands at the dawn of this new year of our lord 2009. 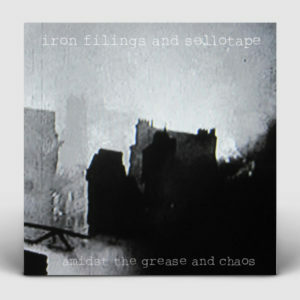 Finally, after ten years in production, the deeply unsettling Iron Filings and Sellotape release is at last upon us. Twenty tracks taking us on a psychedelic voyage within the geopolitical world through a series of tape experiments, lo-fi beats, mournful passages and darkly disturbing noise-fields. Iron Filings and Sellotape is a collective made up of persons unknown, centred around the concept of producing works of music, film and literature with exclusively found elements and obsolete technologies. Field recordings, tape noise, vinyl crackle, mixed in with processed loops, psychedelic melodic spirals, rumbling bass, lo-fi drum-sets, dialogue from historic recordings, and occasionally the voice of jamesreindeer, contributing lyrics penned through a most hallucinogenic filter of the geopolitical sphere. finally, might we take this moment to present the first official full-length, self-produced solo release from jamesreindeer. 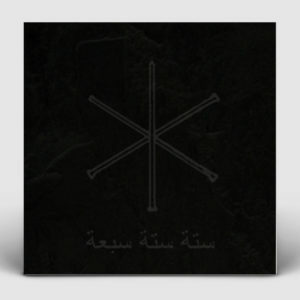 entitled ‘six six seven’ and taking us on a darkly-psychedelic journey into distant lands across almost forty minutes of arabian-influenced free-jazz doom-rap. conceived at the birth of the throne burner project at the dawn of summer 2012, in planning through the long winter and spring, and finally created during the six hottest weeks of the summer since passed, this release dispays some of the most intriguing works yet produced by jamesreindeer. spanning six epic songs and featuring musical guest spots from both the extended throne burner and iron filings and sellotape families, the release is awash with doomy rhythms, screeching horns, hypnotic basslines and deeply-atmospheric field recordings, not to mention the unmatchable vocal darts of jamesreindeer himself. 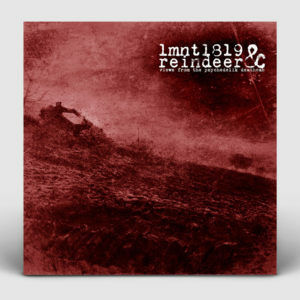 available as a beautifully hand-crafted and highly limited edition cassette tape via long-time jamesreindeer associates mism records, as well as for digital download, this is surely an essential release for those ready to explore yet darker realms of hypnotic audio majicks. very gladly presenting the city of jasmine… a collection of live studio recordings gathered together amidst of the heat of the summer of 2014, during the rehearsal sessions for the ‘destruktiva v’ festival in mulheim-an-der-ruhr on 15th august. assembling six songs taken from the most-recent ‘sittah sittah sab’ah’ release, from iron filings and sellotape, and the classic fbcfabric & reindeer album, along with one exclusive new interpretation; this short set explodes out of itself to create a truly mesmerising whole for its hypnotic duration. featuring all-live electronics work, utilising ableton controller technologies, analogue synthesis, outboard effects and a few other devices, these performances, along with jamesreindeer’s trademark vocals, generate a staggeringly-engaging release. now available as a limited edition cassette tape and digital download, with all monetary contributions being gratefully received and put towards securing further necessary technical apparatus in order to further continue this exploration of live sound performance.